Chadwick Designs is a supplier and installer of all internal and external window furnishings to residential and small scale commercial buildings. We carry the best brands available supplying blinds, curtains, shutters and all outdoor products. We specialize in offering the highest quality products available, and have the experience and knowledge to advise you on the best option for your house or your client. We are a family-owned business with an enthusiasm for our industry, honesty to our clients and pride in our profession. We have learnt that the supply of excellent products is not enough. The consultation process, the product choice, measuring and installation all play equal parts in the complete process of the perfect result. It has taken years for us to call ourselves specialists and we are always learning. New ideas, new trends, ever changing and improving fabrics and manufacturers help us bring our clients what they want and love. We are constantly perfecting our methods to solve our clients problems and meet their needs. One off modified pieces, imported and Australian fabric choices, exquisite curtain making and unmatched installing experience means that we offer the perfect result. Our design based thinking results products that look great and perform exceptionally well. We want to work with the client to prioritize issues that need solving; light control, environmental insulation, aesthetics and privacy. From there we can work out what design will suit the space and the décor and work closely with the client to decide on a solution. By investing heavily in the consultation with our clients we are able to bring all our knowledge and experience to the table and find the perfect fit. Every job is different and we pride ourselves in offering a company which can confidently specialize in all internal and external products. We work closely with home owners, interior designers, builders, architects, developers and landscape designers offering our support at every step of the way. Canberra’s award winning decks & pergolas can create the perfect outdoor area for you to entertain all year round. From the initial quote to the finished product Canberra Decks can ensure the highest quality of work and commitment to meeting all of your requirements. We take advantage of the availability of a wide range of sustainable and environmentally friendly materials, and that means we can use stunning combinations to suit your style and budget. From an unassuming area to have a BBQ, to an extravagant bespoke alfresco complete with French doors and an outdoor kitchen, Canberra Decks will satisfy your criteria to turn your outdoor living area into your favourite space in your home. Specialising in environmentally sustainable dwellings for urban, country and coastal environments as well as smaller additions & alterations. 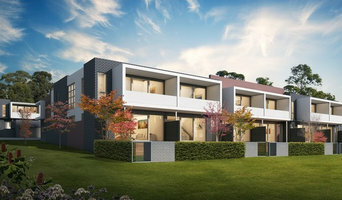 Our featured multi-unit projects illustrate our ability to innovate whilst utilising the existing landscape, and in many cases the existing structures at a particular site About Us: Our company has been designing homes and multi-unit apartments & townhouses for the last 13 years in the Canberra, South coast and Southern highland region. We are able to provide our services to small commercial and medical facility centres. Though based in Canberra, we also do work in regional NSW, the NSW South Coast and Sydney region and have done projects in Victoria, Tasmania & New Zealand. Speciality: Specialising in environmentally sustainable dwellings for urban, country and coastal environments as well as smaller additions & alterations. Our featured multi-unit projects illustrate our ability to innovate whilst utilising the existing landscape, and in many cases the existing structures at a particular site. Our fees are extremely competitive and our turnaround is fast and efficient. 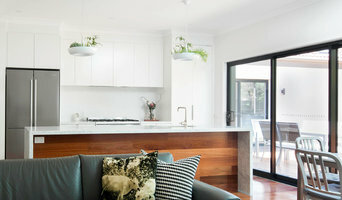 Concepts Interior Design, a Canberra based company, has been established for 24 years and specialises in Commercial, Government and Residential projects nationally and internationally. 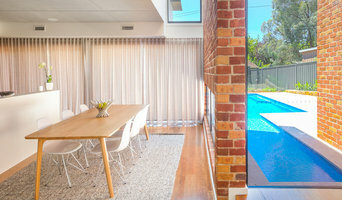 Concepts experience covers all aspects of design including, space planning, interior design, extensions, new homes and renovations internal and external. Collins Caddaye Architects is a Canberra based architectural practice dedicated to pursing high quality and innovative design outcomes on each project. We have, in recent years, been recognized by our peers for producing interesting and elegant designs through the Australian Institute of Architects Awards, including winning the Canberra Medallion in 2012. 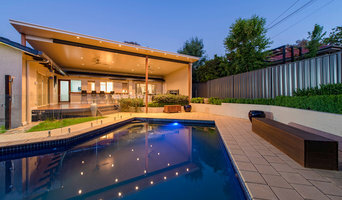 Canberra Builders Established in 1990, Laggner Constructions over the years have grown into Canberra Builders custom home extension and renovation specialists. We’ll correctly guide you through the entire process of design, construction and post-construction phases of building. As family owned and operated Canberra Builders, we genuinely understand the local building industry. Creating unique and exceptional value is the message within our motto....."Building Tomorrow's Heritage"® Contact us today for assistance in finding a sustainable improvement to your lifestyle. Our architectural services are packaged to provide you with choice and flexibility. We are available for either a part (example: concept planning only) or the full service, which can include making all the decisions right down to the selection of light fittings and tiles. The provision of our services and fee arrangement can be reviewed at any of the stages and are outlined on the attached more detailed description of our services. Our initial task is twofold - firstly to listen carefully to your requirements (after all you are the experts of your lifestyle) and secondly to provide our knowledge and experience in showing you all the opportunities and recommending the appropriate and affordable solutions. The Dept. of Design is a collaborative design team with a vision to think outside the box, delivering creative, functional results and a great customer experience. We love our work and we love our clients. You’re the reason we’re here. We want to help you create engaging spaces that look and feel amazing. We specialise in Interior design for Retail, Hospitality, Hotels, Commercial, Mutli-Dwelling and Single Residential. I am a professional artist who makes modern photo-luminescent paintings that interact with light. Reach out to multiple professionals — especially for larger projects — and don't settle for the first bid you hear. Comparing multiple Canberra, Australian Capital Territory professionals' bids and experiences can help you find the one that’s best for you. Ask a lot of questions now, so you won't have unexpected answers later. Find a home design professional: Narrow down your search by type of professional and location. Browse Canberra, Australian Capital Territory portfolio photos, read client reviews and contact each Canberra, Australian Capital Territory professional for more information. Check out the information in the specialised professional sections too for tips on how to hire the right professional in Canberra for your project.